This is a Craftsman Adjustable Wrench, not a Crescent Wrench. "Crescent Wrench" is a brand name, not the type of wrench. An adjustable wrench is a single wrench that can fit multiple sizes of bolts and nuts. The Crescent tool company has been around since 1907 and its adjustable wrench became so popular that everyone called it a Crescent Wrench even though Crescent made hundreds of tools. The lessons in this posting are how to use Google to search. 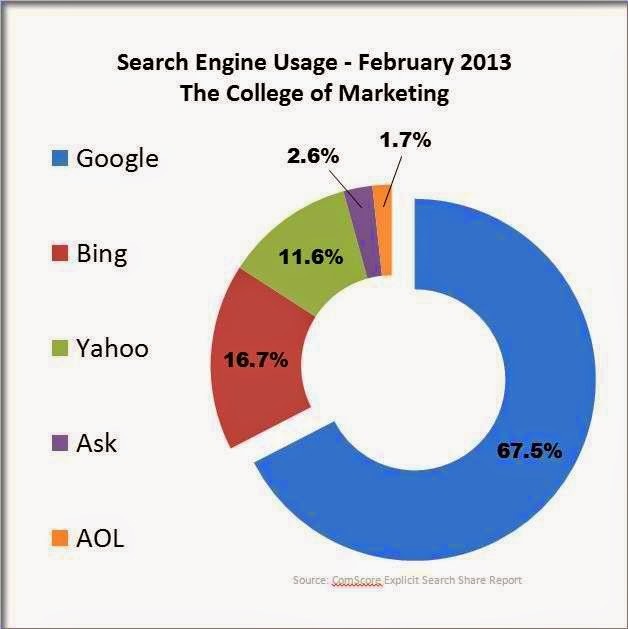 Many of these tips will work as is for the other search engines as well. 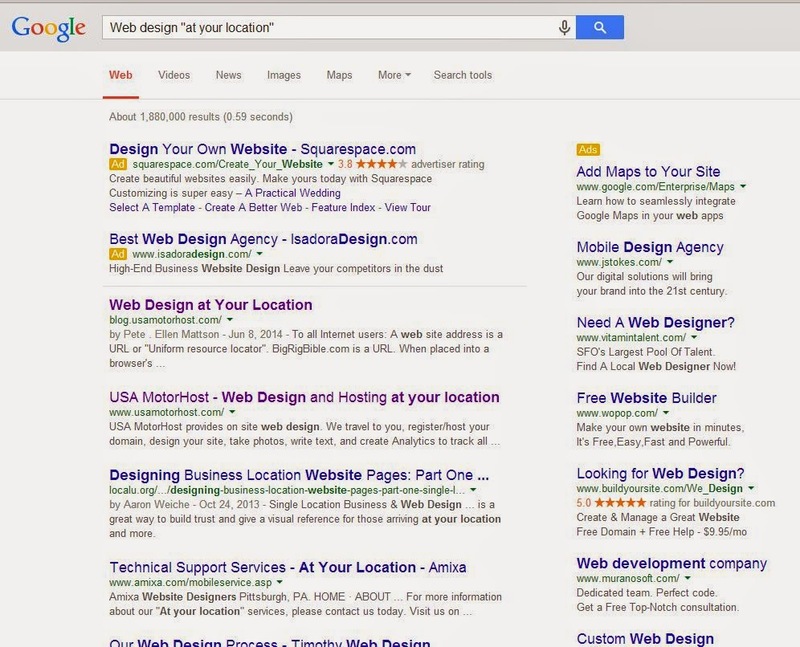 To launch Google, enter www.Google.com in your browser's address field. Then enter the phrase you want to search. Suppose you are looking for a company that will do "Web design at your location". On July 6, 2014, you would be the following response searching from Atascadero, California. You really did not find any company that mentions coming to your location. What now? Try putting quotation marks around "at your location". 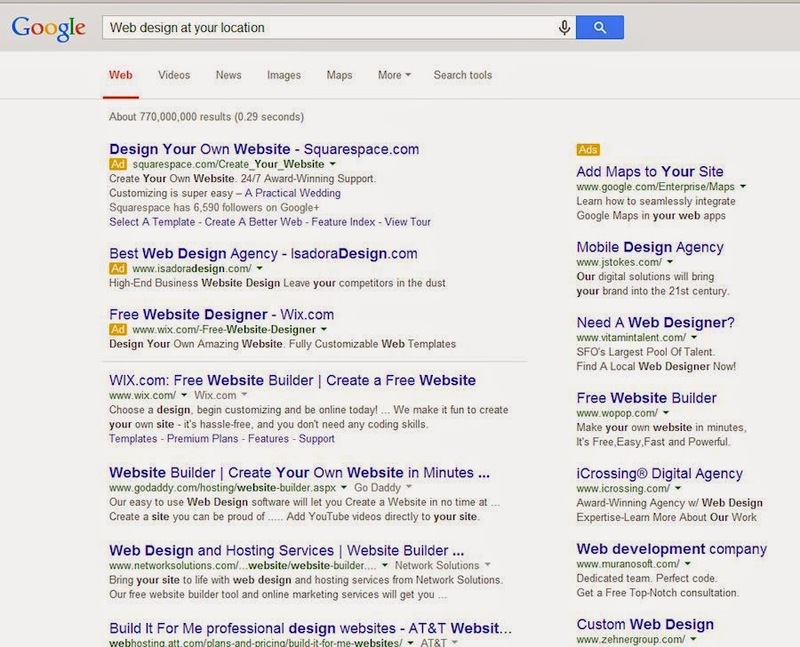 This forces Google to only return sites that have those three words in the listings. 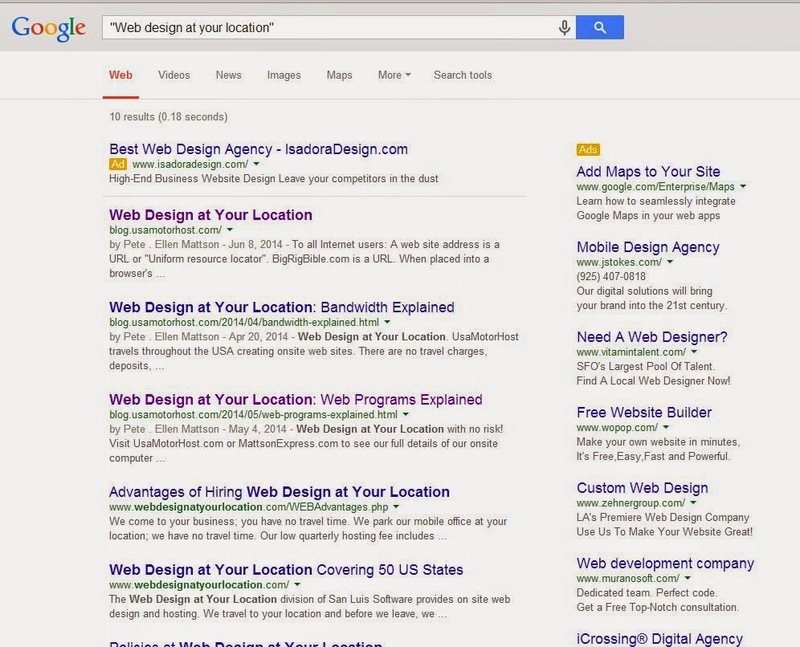 Note that "Web Design" may or may not have been in the results. To force the entire phrase, move your quotes to the beginning of the phrase, "Web design at your location" and voila, every listing has the entire phrase, a perfect result. 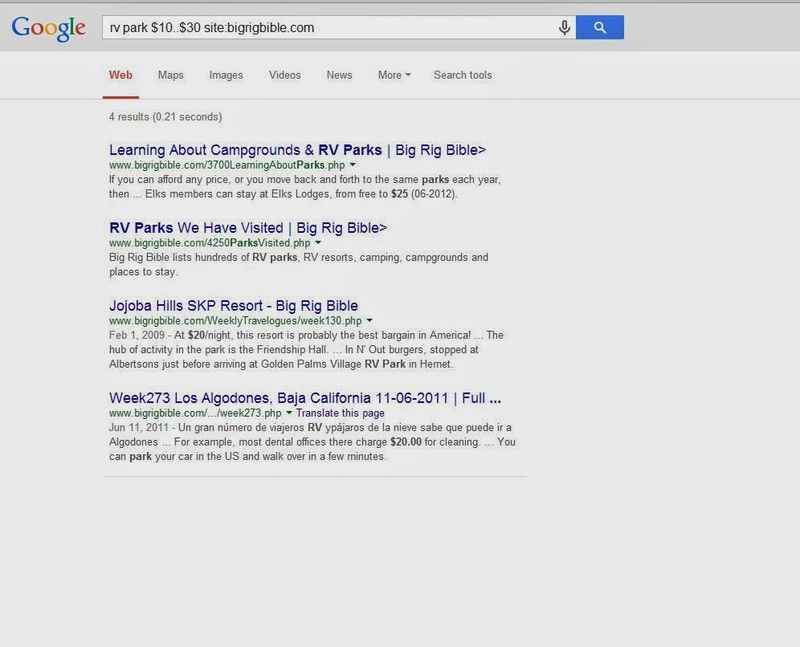 Next, suppose you are an RV traveler and have visited www.BigRigBible.com many times. This site has over 650 pages and 10,000+ photos. You want to revisit the pages of BigRigBible with information about Niagara Falls. But with 650 pages, you want help to quicken the search. Try this "niagara site:bigrigbible.com". 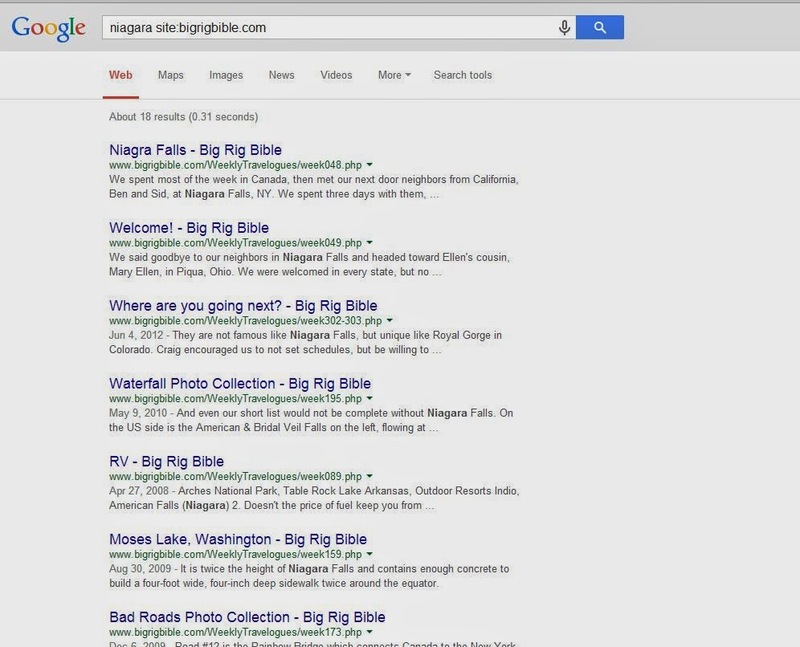 Using the keyword site: and then the domain name tells Google to only look at BigRigBible.com. Happy searching and if we can be of any help, just go to our website Web Design at Your Location and send us an email.